Fyrepaw stretched, digging her forepaws into a patch of thick soil, and sighed. "Well, Fyrepaw," she said happily, testing out her new name. "You should start the day! Getting an apprentice like yourself must be a burden on one of the mentors, and you don't want to be a burden, now do you?" Fyrepaw most definitely did not want to be a burden, so the little cat sat up, finished a few neck stretches, and then walked briskly over to a tree partially hidden by the den. Food can wait. Without hesitation, Fyrepaw jumped into a crouch, keeping her eyes narrowed at the tree, ears perked. "Now, techniques for being a good fighter!" She turned and lifted her rump, waving her tail cautiously at her target. "Belly rake! If the opponent has his belly exposed, make a quick swipe!" She darted toward the tree, brought out her paw, and made a quick jab... Knocking a pitiful piece of bark down in the process. Fyrepaw huffed at herself, and started running at the tree --STOP! Run back! STOP! Forward again! Thus began the training session of the declawed cat who could. Skystar watched Fyrepaw with a silent purr in her throat, just waiting to be let out. Her dark fur melded her into the shadows as she eyed the new apprentice. "She's a good cat, with a heart of gold. I just wish she had claws. She has the makings of a great warrior." After about twenty minutes of training, Fyrepaw stopped, panting. She shook her fur out and looked around, relieved that no one had seemed to notice her session. Or what a bad job I've done... The cat eyed the tree and sighed, frustrated. The tree had hardly a dent on it, covered more in sweat and fur than paw swiped. She had gotten a few good hits in there, especially with the tactics she'd used, but tactics couldn't replace claws! The young cat gingerly brushed away as much of the swipes as she could, smoothing down the bark until it was hardly noticeable. Ah, well. There was still time to blend in with these warrior cats. Adderfoot crept out of his den. All of his supplies were restocked and organised, so there wasn't much to do today. Worry, maybe, but he reasoned that he should at least get a meal first. Therefore, after leaving the den he made a beeline for the fresh-kill pile. Since he didn't think he would want to be leaving his den for the rest of the day, he grabbed a decently large squirrel and turned back to his den to go and eat it in peace. However, the sight of the apprentice attacking a tree stopped him in his tracks. Sure, he knew about Fyrepaw, considering the fact that she didn't have claws was a serious handicap to warrior life and he knew that he'd probably be seeing her a lot. That didn't mean that he was expecting to see her in a training session by herself. At least, that's what he supposed it was. Otherwise he worried for her, attacking a tree like that. The medicine cat quickly glanced around the camp. Most cats were currently either on patrol or asleep, but he could spot a few cats that were subtly watching her. It probably wasn't a problem. He started on his way back, but made the mistake at glancing at her again halfway to his den. By the looks of it, she was attempting to clean off the tree. Okay, maybe he should go talk to her. As far as he could remember Fyrepaw hadn't been assigned a mentor, but she should at least be training with the other apprentices. It wouldn't do for her to do stuff like this in the middle of the camp and get made fun of later. Even though as a medicine cat he ad a fair amount of respect, Adderfoot knew how little fun that was. He would do his good deed for the day and find either Skystar of Lostheart to see if they had anything for Fyrepaw to do. With that course of action in mind, he walked over to Fyrepaw, still holding the squirrel in his jaws. When he reached her he set the prey down and hesitantly started speaking. "Excuse me?" Skystar watched the goings on and, spotting Adderfoot padding towards the new apprentice, she smiled. It was good that Adderfoot had been getting out more, and Fyrepaw needed some encouragement. 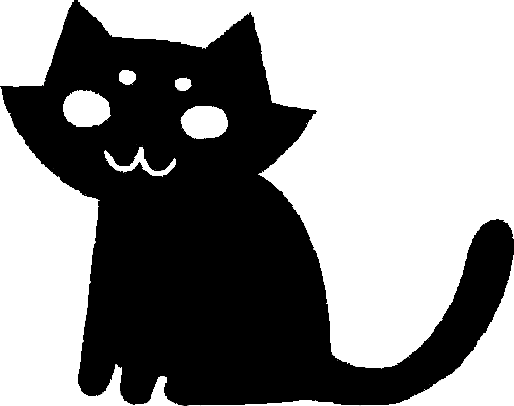 The shadow-like cat stood up and padded silently away, sticking to the shadows so that Fyrepaw wouldn't see her and be frightened at the notion of the clan leader watching her. Lostheart had sent the patrol and they had successfully obtained the dandelions and comfrey roots Adderfoot wanted. After that, she sent them on a border patrol. Ripplerain came back safe and unharmed, and Lostheart greeted her with open arms (Legs?). Now, Lostheart was looking around the camp and she noticed Adderfoot approaching Fyrepaw. She went into her den to give them some space when she noticed Ripplerain was there too. She was lying down, apparently watching the two. Lostheart settled into her nest and tried not to make noise. Ooc: I had to make some cover-ups for the sudden change of plot. ooc// Yeah, sorry 'bout that. :$ I had kind of figured that since Lostheart wasn't going along there wasn't much left to do and hurried over to the thread that had suddenly become an opportunity for important character development.I'll try not to do that again. Fyrepaw jumped, eyes wide. "O-oh! Adderpaw, sir. I'm sorry, I didn't know anyone was around." She relaxed, smiling at the medicine cat. She didn't know too much about him, though being a medicine cat in itself had captured her interest. He must be some kind of deity among these cats, right? How would a simple cat speak to him? "So... Um, how is your..breakfast..?" And this is Fyrepaw, master conversationalist! Although Adderfoot knew that he had been called much worse behind his back(and sometimes to his face) before, and he knew that Fyrepaw had only been in the clan for two days and couldn't possibly be expected to know everyone's name yet, he couldn't help but feel offended. He had worked hard to earn a warrior name, and it was one of the few things he was proud of! The fact that Fyrepaw (hopefully) probably didn't know any better only eased him a little bit. And what was "breakfast", anyway? It sounded like some strange kittypet custom. His tail twitched as he replied, choosing to ignore her question. "Sorry, but my name is Adderfoot." "I-I deserve whatever punishment you give me." Adderfoot flinched himself when Fyrepaw started apologizing "P-Punishment?!" He was only trying to make a gentle correction! Was she that intimidated by his position?! "N-No, no, it's fine, really! Uh, it doesn't matter too much if you call me by the wrong name, but you might not want to do that to anyone else. Some of the warriors would get really angry if you called them by an apprentice title..." It would be a shame to see her get punished for an honest mistake like that. If Fyrepaw wasn't careful about names she'd make half the clan her enemy, and she wasn't exactly popular currently. Nope, as long as Adderfoot could help her before her ignorance caused her to pay dearly, he'd do it. Probably. "...But I guess if you think punishment is appropriate, you could help me reorganize my den after I come back from the Moonfield meeting or something?" He wasn't hopeful about getting her to agree to unnecessary "punishment". Really, it was an excuse for free labor while he tried to decide whether he preferred his herbs to be sorted with the roots or the leaves closer to the entrance. And an excuse for speaking to Fyrepaw, she might as well have someone to tell her the basics of clan life for as long as she didn't have a mentor.